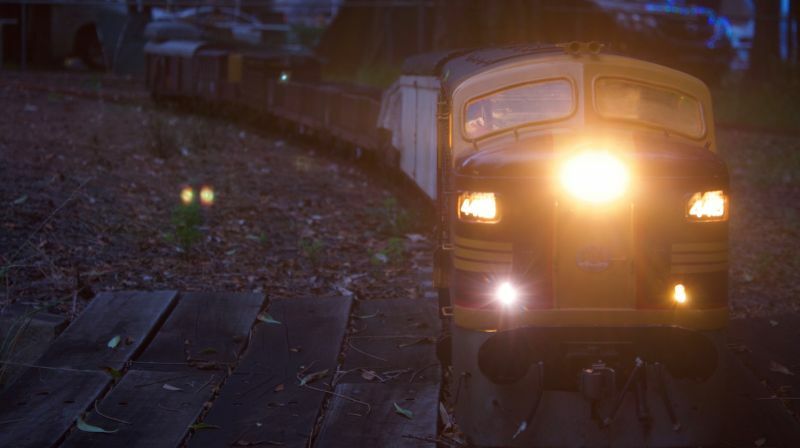 4415 waits quietly on the passing loop in late hours of the evening with the down goods to Fairy Creek yard. Ben Maquire and Gerg Coalman's 4415 at Illawarra Live Steamers, New Year's weekend. 3,305 Text and photos Copyright © 2006-2019 SMEX, All rights reserved.